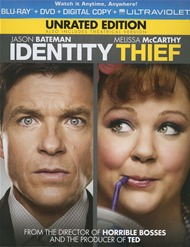 Jason Bateman (Horrible Bosses) and Melissa McCarthy (Bridesmaids) lead an all-star cast in this hilarious blockbuster hit. Unlimited funds have allowed Diana (McCarthy) to live it up on the outskirts of Orlando. There's only one glitch: she's financing her shopping sprees with an ID stolen from Sandy Patterson (Bateman), an accounts rep who lives halfway across the U.S.
With only one week to hunt down the con artist before his world implodes, the real Sandy Patterson is forced to extreme measures to clear his name. 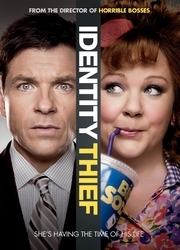 From the director of Horrible Bosses and the producer of Ted, critics are calling Identity Thief "smart, funny and surprisingly touching" - Rafer Guzman, Newsday.